Casino Coupe - A rock classic in “coupe racing” size! 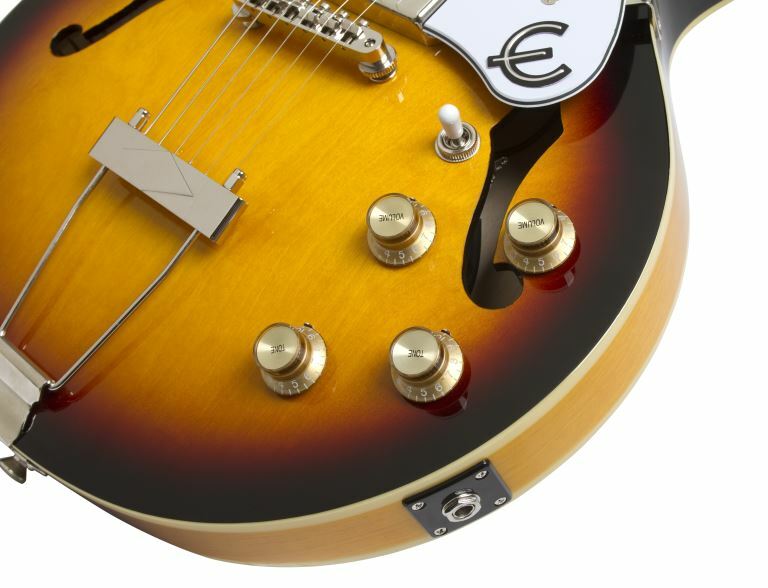 The Casino Coupe is the legendary Casino reborn in an ES-339 body size. It’s a racecar-sized, super slick coupe version of the legendary hollowbody that since its release in 1961, has been a favorite of tone connoisseurs from Keith Richards to The Beatles, to GRAMMY winner Gary Clark Jr. 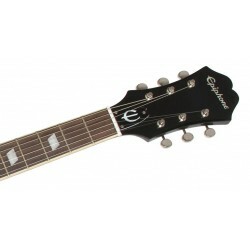 The new Epiphone Casino Coupe has all of the Casino’s trademark tone features--from neck size to tone woods to pickups--but in a “Coupe” size for easy travel. Now you can play the legendary archtop in a smaller size without a smaller sound. Classic Casino Form: The Casino Coupe features the familiar Casino styling and shape—only proportioned smaller. The body and top are made from 5-layer laminated Maple with single layer ivory binding on the top and back. The orange soundhole label has the same typeface and style as 60s era vintage models and the white/black 3-layer pickguard gives the Casino Coupe a classic look. 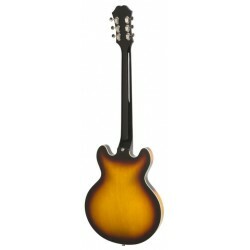 The Casino Coupe comes in Cherry, Natural, and Vintage Sunburst color finishes. The Mahogany hand-set neck has the classic 24.75” scale with a 1960s SlimTaperTM shape. The SlimTaperTM is patterned after prime vintage models. 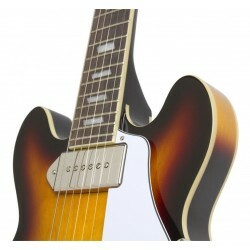 Its comfortable for hours of play and for smooth transitions between rhythm and lead. At the top of the neck is the 60s style Sloped Dovewing headstock with a 14 degree angle for great intonation. 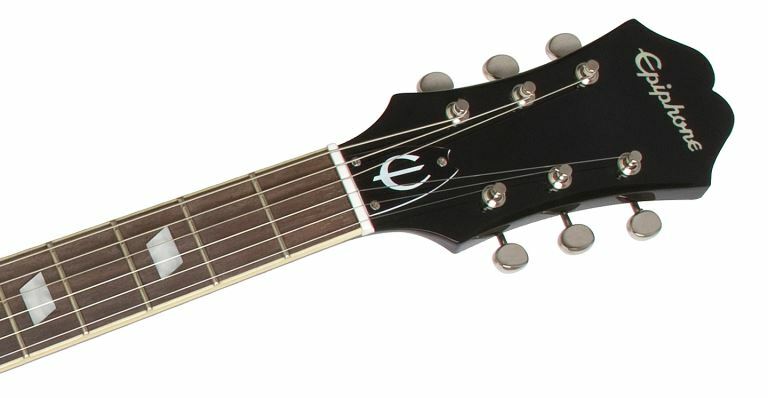 The vintage “Epiphone” logo is in pearloid and the Kalamazoo-era “bullet” truss rod cover—also a feature of 60s Casinos--has the Epi “E” logo in white silkprint. The Rosewood fingerboard has Parallelogram Pearloid inlays with a 12” radius and 22 easy-to-play medium jumbo frets. The Heart of the Casino, “dogear” P-90s: Like the original Casino, the Casino Coupe has full-size, full power “dogear” P-90s. The P-90, which was first introduced by Gibson Brands in 1948, is simply the best sounding single coil pickup to be found. With a full rounded tone, the P-90 is the “all purpose” pickup, capable of sharp lead tones, clean rhythm punch, and gritty, easily controllable feedback. And combined with the pure hollowbody of the Coupe, a guitarist can achieve almost acoustic tones at low volume. 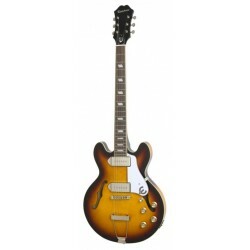 The Coupe has Epiphone-designed and made P-90 pickups in the lead and rhythm position with standard Top Hat volume and tone controls along with Epiphone’s heavy duty ¼” non-rotating nickel input jack. 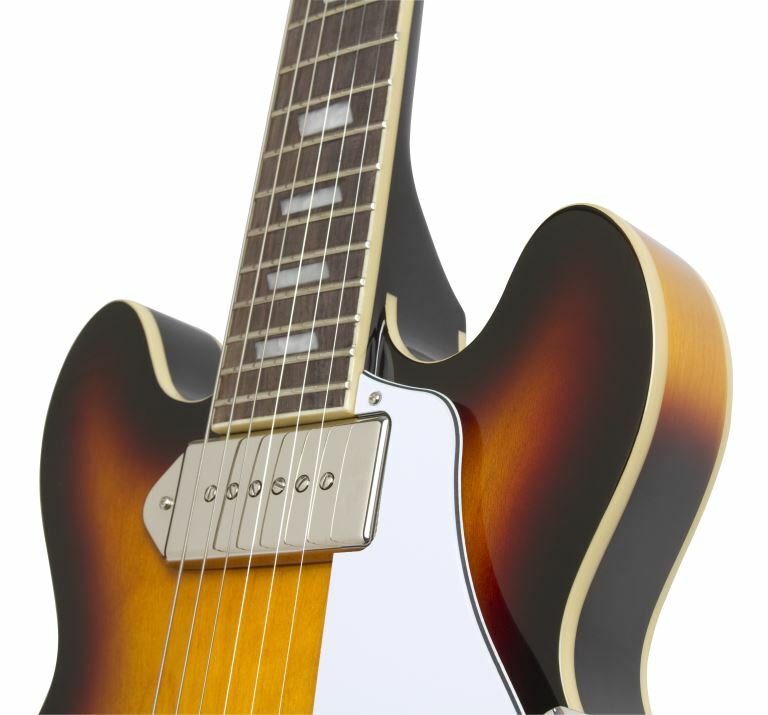 The archtop’s all Nickel hardware includes the LockToneTM Tune-o-matic bridge and a Coupe-sized Trapeze tailpiece. 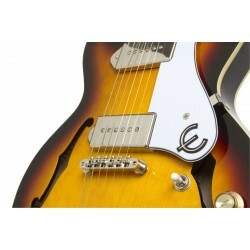 Like all Epiphone instruments, a hard case is available for the Casino Coupe and the guitar comes with a Limited Lifetime Warranty and 365/24/7 Gibson Brand Customer Service. 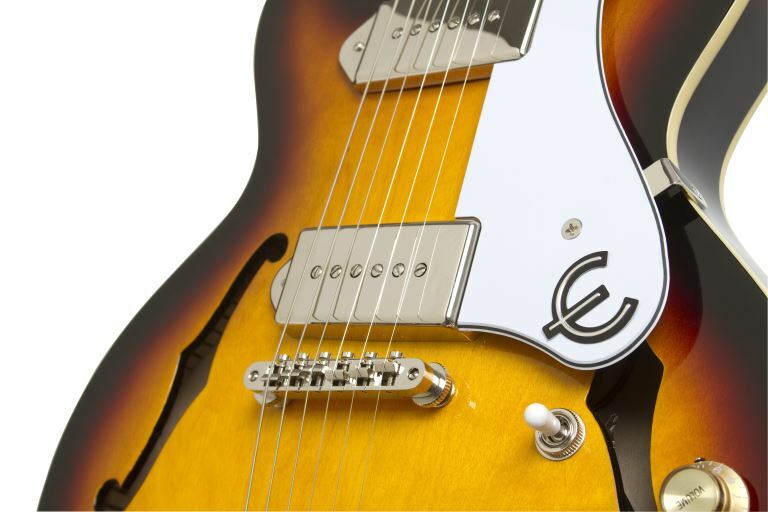 Visit your Authorized Epiphone Dealer today and be the first to make history with the Epiphone Casino Coupe. 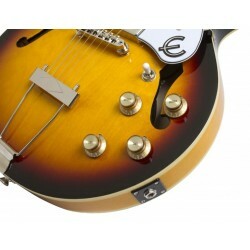 Summary: The Casino Coupe is the legendary Casino reborn in an ES-339 body size. Featuring full-size P-90 “dogear” pickups, Top Hat controls, a 5-layer Maple body and Mahogany neck, and is available in Cherry, Natural, Vintage Sunburst.